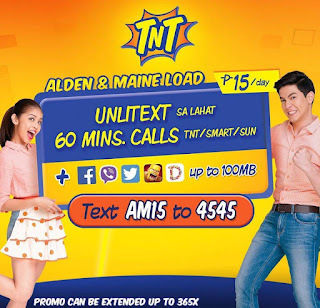 You must be an ALDUB fan or an avid Talk n Text (TNT) promo subscriber that’s why you’re here on this page. 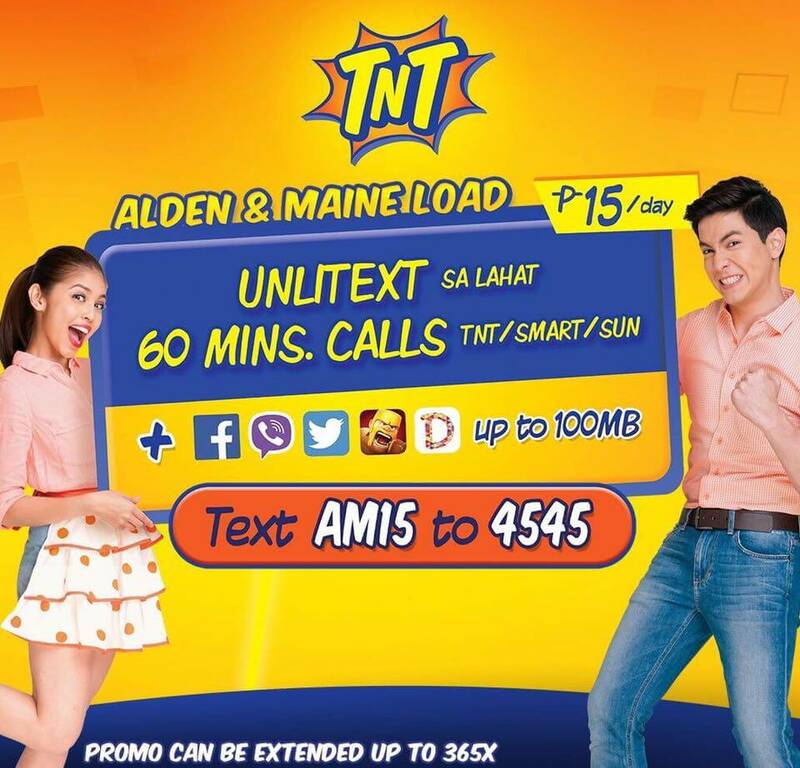 If you’re looking to register unlimited text to all networks promo, try out MAINE 30 and the Alden Maine AM15. With that 2 given promo you can either register to 5 days or 1 day unlitxt to all networks depending on the amount loaded on your TNT prepaid SIM. You’ll also get more on your 15 pesos with AM15 as it also includes 60 minutes TNT, Smart and Sun Cellular calls plus free internet access on your favorite apps like Clash of Clans, Facebook, Twitter, Viber and Dubsmash. You can also extend this promo, see How to Extend Talk N Text Promo. Once you’re registered to this promo, you will receive a notifications from TNT saying that you are already subscribe including the details of your load expiry.